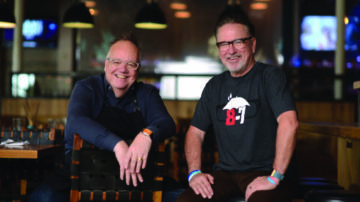 On the same day the rival White Sox held its stadium food preview, the Cubs have major food news on the North Side — the name of the upcoming restaurant co-owned by baseball team manager Joe Maddon and revered Chicago chef Tony Mantuano (Spiaggia, River Roast). It’s called Maddon’s Post and should soon open this spring, part of the park in front of Wrigley Field known as Gallagher Way. The restaurant will take up two stories across 7,400 square feet at 1119 W. Waveland Avenue, according to a news release. 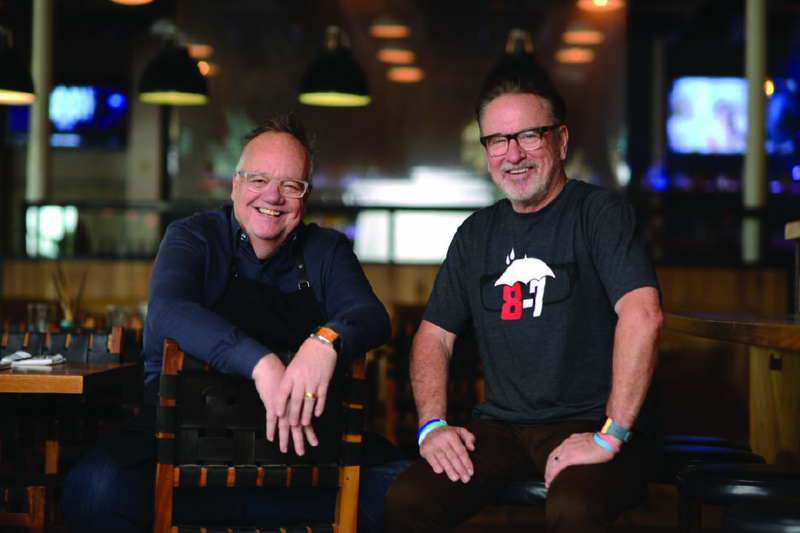 The second-floor private events space is called the Flamingo Room, a reference to a supper club Maddon would go to with his father in his hometown of Hazleton, Pennsylvania. The flamingo is not a call back to Maddon’s Florida roots. He managed the Tampa Bay Rays baseball team before the Cubs and owns a restaurant called Ava in Tampa. Mantuano is a James Beard Award-winning chef who has mentored Beard-winning chef Sarah Grueneberg of Monteverde and Spiaggia chef Joe Flamm, who won Top Chef. Mantuano’s specialty is Italian food, but Maddon’s Post will also serve Polish. Maddon and Mantuano quickly connected as they’re around the same age and share Italian roots (Maddon is also Polish). The menu is supposed to bring a first-generation nostalgic feel with dishes the two grew up eating. That just may appeal to many in Chicago, a city with a large population of people with Italian and Polish roots. On the Polish side, look for dishes like pierogi, smoked kielbasa and cured sausages and hams. Chicagoans won’t have to wait for March to have paczki (a Fat Tuesday tradition). Maddon’s Post will serve the Polish doughnuts year-around with rotating flavors. It’ll also have other Polish pastries. On the Italian side, expect pizzas from a wood-burning oven, Mantuano’s signature pastas, and charcuterie like hot sausage sticks, Finocchiona (an Italian fennel salami), and more. Ownership also announced Aaron Thebault will be Maddon’s Post’s executive chef. His resume includes stints at Boka, MK, and eight years at Girl & the Goat in West Loop. Like his old boss Stephanie Izard, he’s also a Cubs fan. Mantuano brought over Spiaggia’s sommelier to Wrigleyville. Rachael Lowe is a decorated sommelier who’s worked for chefs including Thomas Keller and Gordon Ramsey. River Roast’s drink director Ken Pritz will create beverages with seasonal ingredients. There has been conjuncture since the restaurant was teased last year over Maddon’s role. Restaurant management didn’t release a name right away, which is unusual for restaurants. But baseball is a fickle business. The Cubs didn’t win a playoff game in 2018 and Maddon’s contract with the team expires at the end of this 2019 season. Now that they’ve put Maddon’s name on the restaurant, perhaps that gives Cubs fans a window to the team’s managerial future. The drinks even have nods to Maddon including the “Toast to Hazleton” (Miller High Life Pony with Crown Royal Canadian whisky). And move over, malört, as bartenders will pour Żubrówka, the Polish vodka. The art inside the private room will even be curated by Maddon. It’s unclear if the restaurant will be ready for the Cubs’ home opener. That game’s on April 8 versus the Pittsburgh Pirates at Wrigley Field. Subscribe to our newsletter below to receive exclusive updates from Joe Maddon and the Respect 90 team.